Jeff VanderMeer has been called a “master of the literary head trip” (by Kirkus Reviews), “Poe-like” (by The New York Times), and, perhaps most intriguingly, “the weird Thoreau” (by The New Yorker). The enormously successful author of the Southern Reach trilogy and Borne will give a reading and talk Feb. 14 at 7 p.m. in the Seney-Stovall Chapel, 200 N. Milledge Ave., as the first visiting speaker in the 2019 Global Georgia Initiative of the Willson Center for Humanities and Arts. In his best-known fiction, VanderMeer depicts an uncanny version of the natural world, often dangerously unleashed against humanity with mysterious forces at work alongside more banal horrors such as mankind’s failure to reckon with the climate change crisis. But there is a sublime majesty to this world and its mysteries. The first book of the Southern Reach trilogy, Annihilation, was adapted by writer-director Alex Garland for a 2018 film of the same name starring Natalie Portman and Jennifer Jason-Leigh. The other two books of the trilogy, Authority and Acceptance, have also been licensed for film productions, as has Borne. 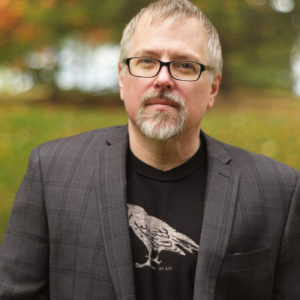 In addition to these recent works, VanderMeer has published a handful of novels and short story collections including City of Saints and Madmen: The Book of Ambergris (2001) and Finch (2009). His essays and literary criticism have been extensively published, including by The Washington Post and The Guardian. He has also edited a number of short-fiction anthologies, usually with his wife, Ann VanderMeer. His most recent book is the 2017 novella The Strange Bird: A Borne Story. VanderMeer will appear at Avid Bookshop, 493 Prince Ave., for a signing event Feb. 14 at 5 p.m. prior to his event at the Seney-Stovall Chapel.